Tracks such as “Early Morning,” “A Walk On Forgotten Shores and “Gathering Clouds” are vaguely reminiscent of the gentle piano style of Neil Young (Harvest-era), while “Evening Rainbow,” “Sunset" and “Starry Sky” easily evoke the imagery portrayed by their basic, yet powerful, titles. 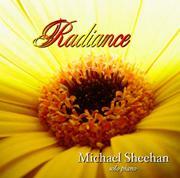 I suggest you welcome this compact disc into your library of healing music and eagerly anticipate future works from Michael Sheehan. Wise Fool Records is dedicated to inspiring, uplifting and healing the world through music. on our label. We hope to sign many more. Our CDs are currently available at live concerts and online at cdbaby. the shopping cart on this page.